This entry was posted in Autism, Autistic communication, communication and tagged AAC, AAC devices, autistic, communication methods, general education, homeschooling, non-speaking, non-speaking Autistic, school, schooling, Special Education, special education school, survey, unschooling. Bookmark the permalink. I LOVE you and your survey, Emma and I will share everywhere I can think of!! I am so PROUD of you and so honored to witness you and your daily life in this challenging world. Is there a link to your survey in this blog posting? I know several people who would probably be interested in filling this out. Mom forgot to add it. Thank you. Will now. Thank you, Emma! You’re an amazing person. I think we would all like to learn the results of your survey. Can you post your paper here after its done? Hey Emma! Is there a link to the google survey? I want to share this but want to make sure that people who are interested can easily figure out how to participate. Thanks and good luck! Hi Savannah, I’ve added the link, I’m sorry about that. When Emma wrote this I was so excited I forgot to add it. Thank you and Pascal for bringing it to my attention. Let me know if it isn’t working. Hi Emma, I hope you publish your findings. This sounds like a great topic to explore. I wish you the best! 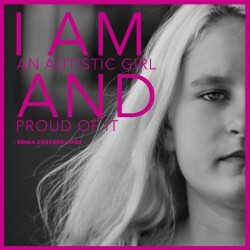 Reblogged this on Melissa Fields, Autist. What a fantastic topic to write about. I don’t fit your criteria to take the survey, so I’ll share it to help you get data. This is an important point Rosie, and one Emma has expressed concern about. She intends to include this limitation in the first section of her paper. By the way, I think of you often. I hope you’re well. Is the mom of a nonverbal child able to take the survey? Please disregard my question. I didn’t read through the whole article, my apologies. A student is looking for autistic AAC users, and also for their parents, to complete a survey about how aac is (or isn’t) used in schools. Or if you are no longer a student, you can complete it based on your memories of school. The student herself is autistic. I was curious if you are still homeschooling or if a great school was found for Emma? I am currently trying to figure this out myself for my child at the moment but will refuse another ABA school/center! Just to add, I must say I am stunned at the parents who have found and had great success with RPM yet still leave their poor kids in ABA centers. Do you have any suggestions for private schools that will welcome RPM? Keep up the great work Emma. You are such an inspiration to so many! Emma asked that I respond to your questions. Emma is doing a combination of schooling that includes taking a few classes at a private prep school. The only suggestion I have, to anyone really, is to remain open to new ideas, question everything you’ve been taught, particularly by those who speak and are not autistic and call themselves experts, find people who are using AAC devices and alternate methods of communication and see what might work for you and/or your student. Bump. I’m interested in hearing a little of what you are up to this year Emma (if you have time)? I learnt a lot from this blog and it made me think in those early years after my son’s autism diagnosis, things are going well for him and for us, hope school is going well for you Emma. My name is Andre and I ‘am doing an article on the complexity and difficulty adults with autism currently have to try to apply for financial support from the Australian Government. In comparison to the financial support adults and carers with autism are receiving in the United Kingdom. If anyone could provide any information, from the past or current experiences that they have had while trying to apply, be denied, or receiving financial support from Centre link or any other Australian government-run organizations, I would love to hear from you. Is a large percentage being denied financial support? Are you only relying on non-profit organizations? Or if there are any other problems facing Autistic people from the Government, I would love to hear about that as well. I know Autism is a ‘bad word’ for the media and many issues are still going unnoticed, so that’s why I would like to hear from the community and make your voices heard.